This dress is so breezy and summery. I love how the green in your shoes contrasts with it. Lovely turban! I really love all those rings too! Love how sheer and bright the dress is. What a perfect look for summer!! Love your style! The turban and the dress are darlings! I always feel the need to try out new hairstyles and this works with shorter hair too, so perfect! this is the cutest post! I never do anything with my hair.. maybe I will start tomorrow! 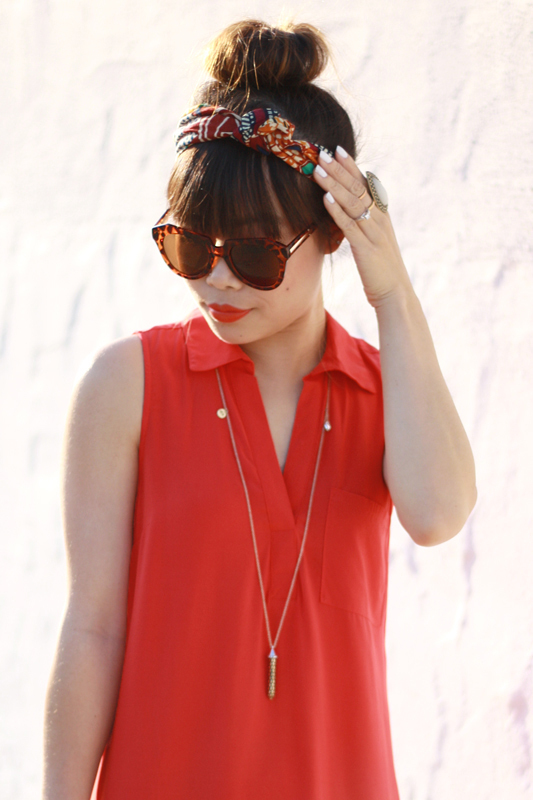 Love this red dress and how you style it with all these accessories! Oh gosh I do remember those GG days. I didn't feel cool enough if I didn't wear hair band to school. That is prob what started my love for head wear and now I love a good turban/head wrap. These are gorgeous and the print on them is stunning. Love the different ways you styled it and it goes perfectly with your ornage dress. Glad I found your blog because you got great style girl and love the design. Following you and look forward to reading your future posts. 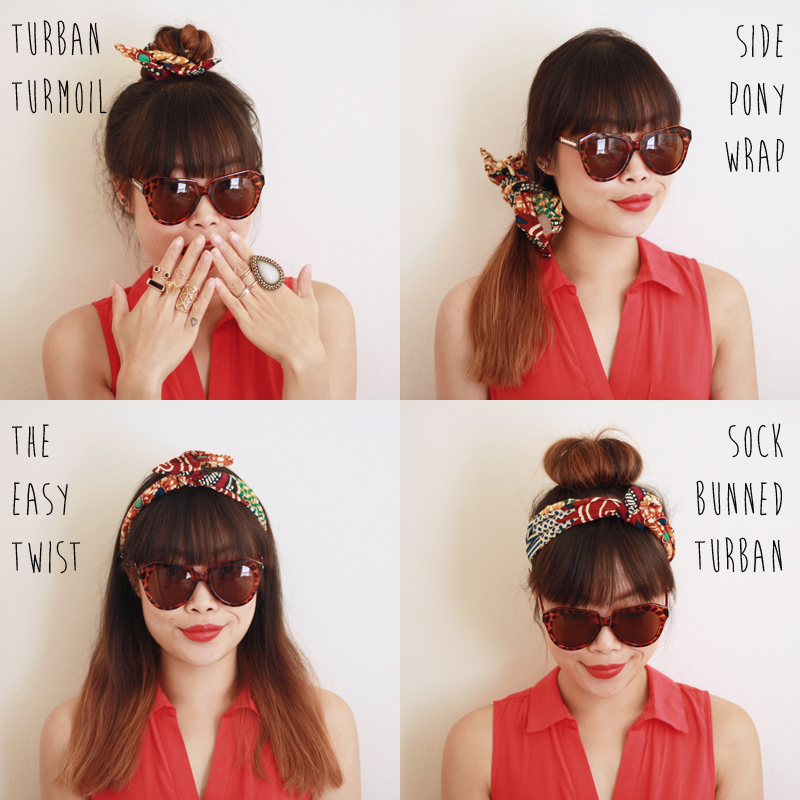 So many ways to tie a scarf! I can tell that you like colors. You might like the scarves from Comtesse Sofia - which is a young parisian brand. They are plenty of color and they have cute patterns.